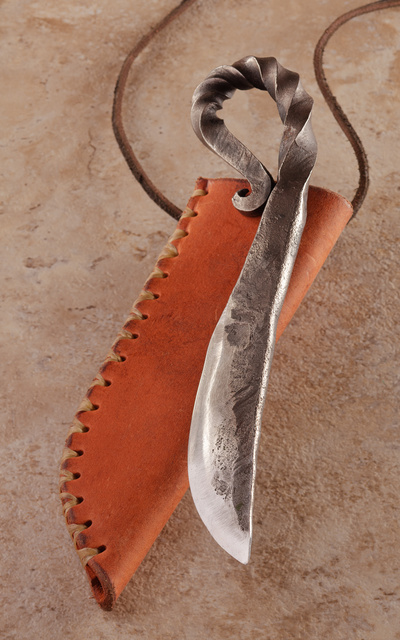 Icelandic pattern knife made from tractor trailer leaf suspension spring. I have one similar to it and it’s a very handy blade. Another one I had went to a friend as a wedding present — that’s the great thing about custom knives, they make unique gifts. Since this is the last blade left, shipping would be only $10 within continental US. A little background information about the knife maker. This entry was posted in interesting people, knife and tagged blade, hand-made, traditional. Bookmark the permalink. Any chance on any more being offered for sale? Very interested. Love the knife!! My great grandfather made some butcher knives out of the spring steel from a busted wind-up phonograph. Still in use, nearly 80 years later. Wonderful stuff, that spring steel.